Green says even a short 10-minute yoga practice in the morning or evening brings more flexibility to her both physically and mentally. “It’s something about the expansion that happens in yoga practice,” she says. 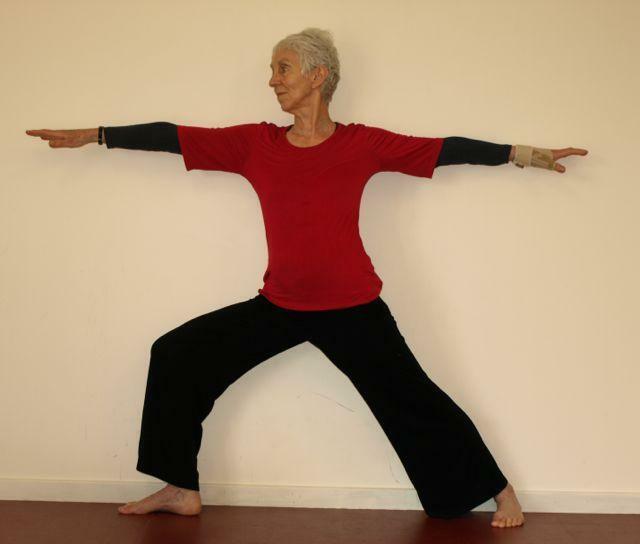 During a period of teaching in East Timor, Green found practicing yoga early in the morning became a tranquil moment in the hot weather and trying circumstances she was in. Green finds big yoga classes a bit off-putting, which has led to her practicing more at home or on retreat. Older practitioners need more individual attention from teachers, she says – she’s had problems with one wrist for example – and it’s hard to get it in larger classes. Green’s walk across southern France is not the longest walk that she has undertaken: she has walked half of Spain’s famous 900-km Camino trail, once a Christian pilgrimage and now a rite of passage for a million people every year. She’s planning to practice yoga on the walk, partly to help reduce any stiffness, but also because of the sense of connectedness she experienced with both yoga.